At Nyah we want every group to feel welcome that is why we have created the Build Your Own Room (BYOR). No, we are not asking you to bring a hammer and nails and get to work. You are telling us to build your beds, and by build, we mean customize. Tell us how big or how small your group is and we will customize your room, so no one gets that roll-away bed or worse the floor. No matter the size of your group the rate stays the same as a room with just 2 guests which means cheap group lodging! We offer 36 rooms with 4 rooms being shared rooms, meaning you are paying for the bed. 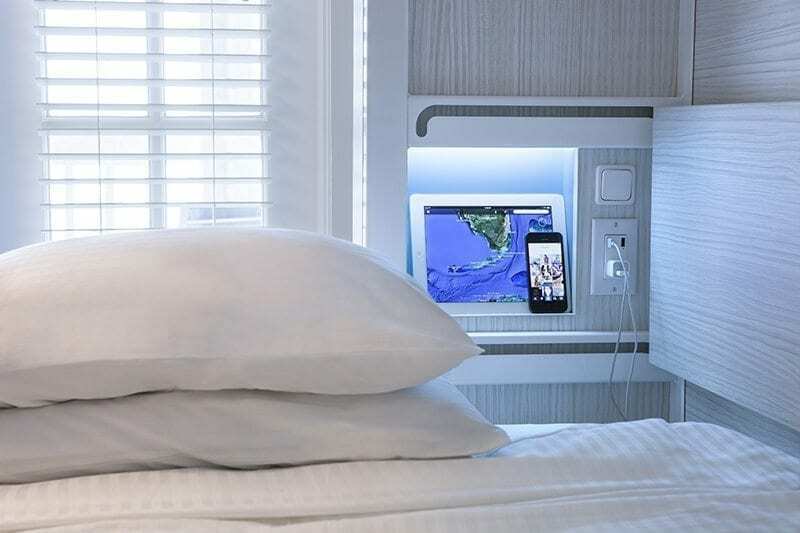 Each bed is a memory foam mattress with its own charging station for every bed, so no one will miss the perfect selfie moments that Key West has to offer. There is also a locker for each bed that will have the sheets and towels for each guest. From the beds to the amenities we have everything you could need to make this trip, not your average hotel vacation! Guests must be 21 years of age to check-in and 18+ to stay. Our property is wheelchair accessible. For Accessible Accommodation, click here to check availability.